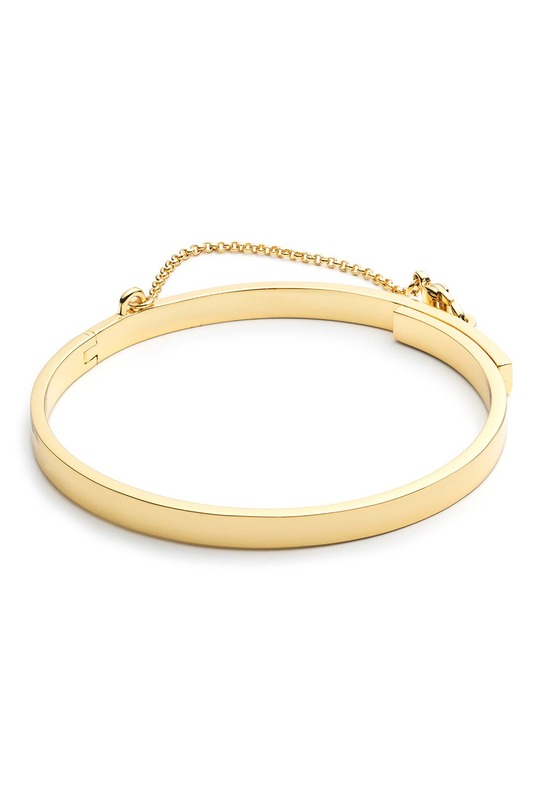 Add just a touch of edge to your look with Eddie Borgo's downtown-inspired bracelet. 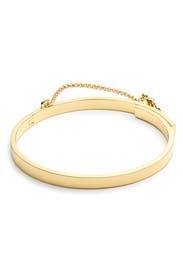 Gold plated thin safety chain cuff. Hand installed piano hinge work safety chain closure with lobster claw. 2.25" interior diameter. I loved this bracelet! It was so classy and yet unique with the little chain detail. It went perfectly with everything else I own. Fit was good just didn't need it. I have something very similar at home that was easier to get on and off. Very simple design that could be dressed up or down. 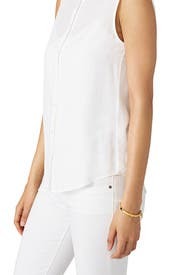 It would pair as well with jeans as with party attire. There is a hidden hinge on the side so the top opens up to put it on. The top snaps back over the bottom piece, the loop comes through a hole & is held closed by the clasp & chain. The gold is a beautiful color. It was slightly cumbersome to put on by myself (mainly because I tried using my left hand). Having another person slipping the clasp through the loop would be easier. My wrist is fairly small. It would probably fit best on a small to average wrist. I loved this bracelet & will rent it again. Gorgeous, I wear this simple piece every day. Great color and interesting detail. It's a little difficult to see but there's a cute lobster claw enclosure. Great bracelet for party or day! I wore this bracelet for engagement photos and then for the rest of the week. Simple but fun, it can compliment most outfits. It works well for petite wrists/hands!